Pre-production on the upcoming sequel, Fantastic Beasts and Where to Find Them 2, continues at a steady pace today. We’ve already had it confirmed that J.K. Rowling has finished her work on the script and delivered to it returning director David Yates, and we’ve learned that they’ve snapped up Jude Law to play the young (well, younger) Albus Dumbledore. 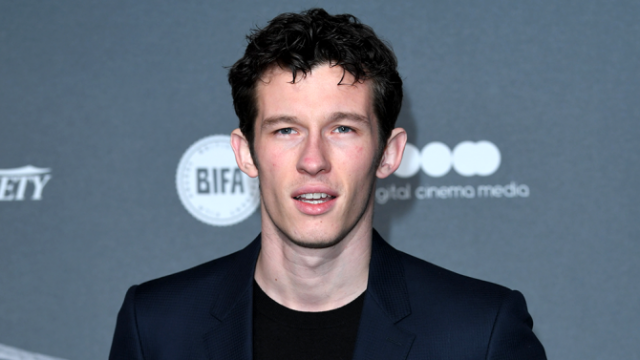 Now, another actor has joined the cast: Green Room star Callum Turner (also seen in Victor Frankenstein and Assassin’s Creed). The news comes courtesy of Variety, and all we know about the character thus far is that he’s Newt’s brother. Diehard Harry Potter fans think they already know who this brother will be: Theseus Scamander, Newt’s older sibling. His biography (courtesy of the Harry Potter Wikia) explains that he’s a World War I hero and a powerful Auror, but is a little disapproving of his younger brother’s magizoological tendencies. Thing is, Callum Turner is eight years younger than Eddie Redmayne, and looks it. It’d be a bit of a stretch for him to play Theseus, who by all accounts is a commanding and mature presence. My money’s on him playing an as yet unannounced younger sibling then, with Theseus being portrayed by another actor. Other details on Fantastic Beasts 2 are pretty thin on the ground at the moment. What we do know though is that we’re going to see more of dark wizard Grindelwald (Johnny Depp), who’ll be clashing with his former friend Dumbledore, with Newt having earned the former’s ire and possibly being the target of revenge. We’ll have to wait until November 16th, 2018 to get the full picture, as that’s when Fantastic Beasts and Where to Find Them 2 opens, but for now, let us know what you think in the usual place.